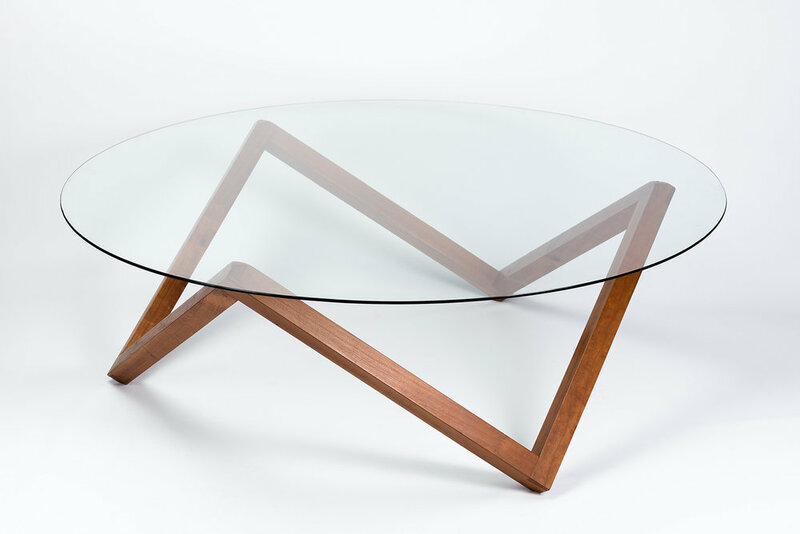 A simple and elegant coffee table created from six interlocking members, joined together with hand-cut through Dovetail joints. 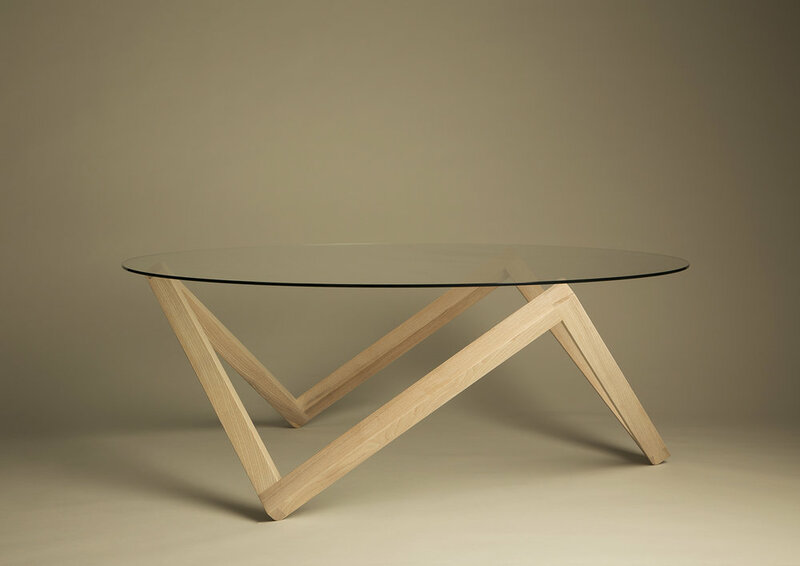 Illustrated in European cherry the table can be created from the wood species of the client’s choice. 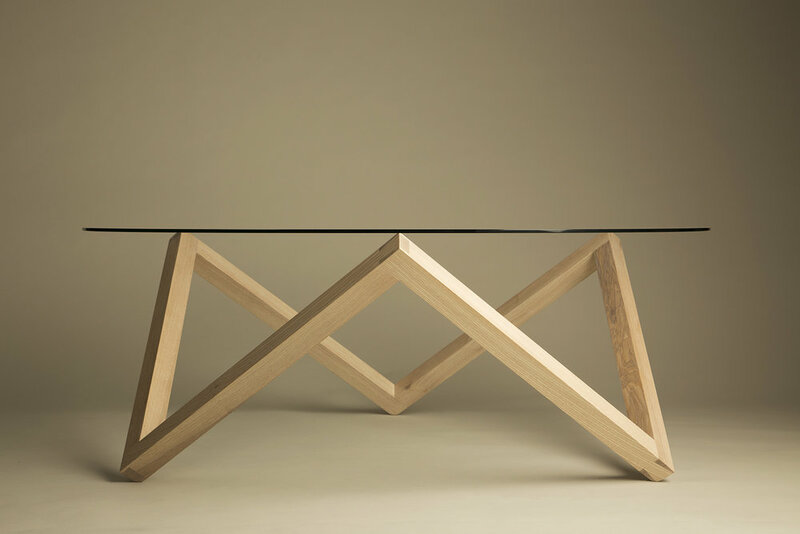 A toughened glass top adorns the table letting the viewer admire the table’s construction underneath. The design is inspired by geometry and the study of shapes and how they can be reduced to the least amount of necessary components whilst still maintaining their structural integrity. 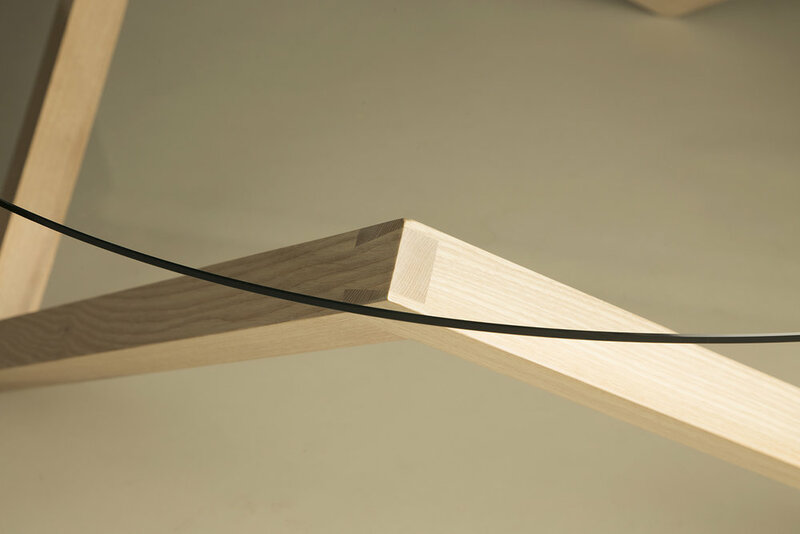 The table is based on a cube that has had members removed to leave this skeletal yet elegant form.